The car have oil temp issues the entire weekend due to what I think is a stuck thermostat and lacked spring rate to perform optimally on the track. Its what happens when you build a car that still needs to be somewhat comfortable on the street yet also wants to see the track sometimes. Now I have to decide what route I want to take with the car yet again or just leave it be and enjoy it. I am also debating focusing more on taking pictures and less on track time for myself . Maybe just sticking myself in the advanced run group and just having fun. 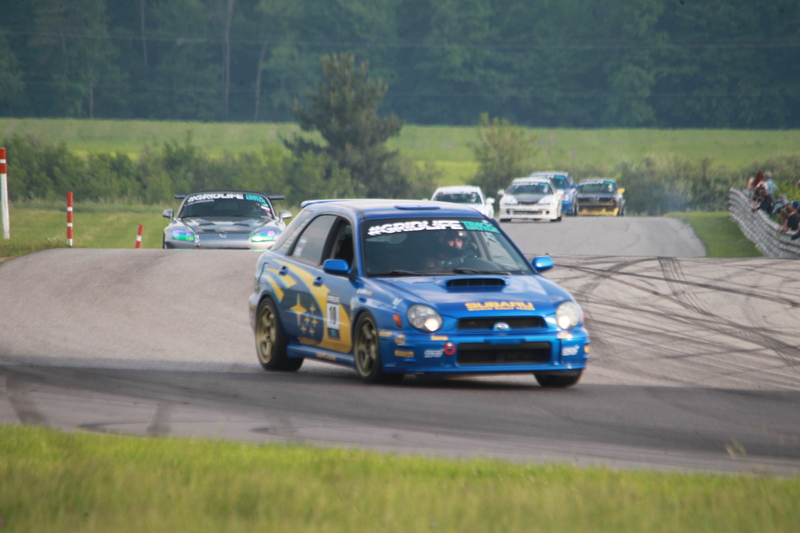 The falken 615k+ performed great all weekend and the PFC01 pads were awesome as well. I should probably get some ducting for them and also install a catch can to improve the cars overall endurance but it felt great. Plan for the summer is to get AC back working and enjoy driving the car around Metro Detroit. Huge thanks to my Codriver Brian , Chris at Sellers Subaru for an excellent alignment , Tlek at Pro Wheels for mounting my plethora of tires and anyone else who has helped me prepare the car for events in the past !